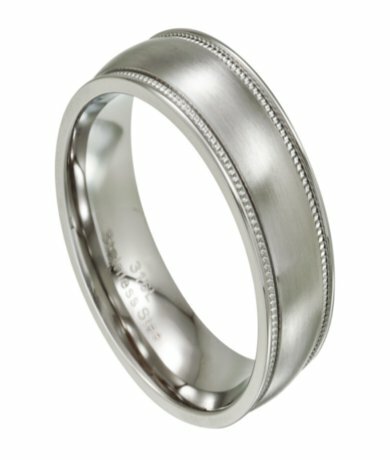 The perfect choice for those looking for a traditional yet affordable wedding band. This stainless steel ring for men has a satin finish center framed by milgrain beading, finished with polished rounded edges. 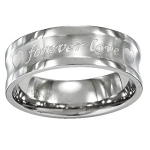 An 8mm comfort fit band completes this 316L stainless steel men's ring.